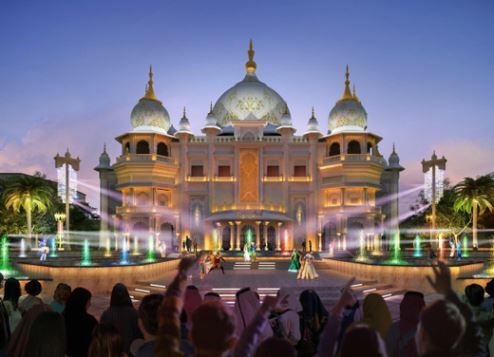 Dubai Parks and Resorts, the region’s largest integrated theme park destination, has unveiled its collection of unique and tailor-made corporate and private event spaces. * Dabanng Theatre, which can host up to 1,200 guests and features a massive interactive stage that can accommodate moving vehicles. * The Encore MPV, an 1,800-square-metre indoor multi-purpose venue, which can accommodate thousands of guests. Ideal for weddings, receptions, corporate events and parties, the outdoor plazas at Riverland including Riviera Plaza (2,400 square metres), Boardwalk Plaza (1,150 square metres) and the Island Plaza (1,350 square metres), each offer their own unique atmosphere and personality. Tamure Ballroom at Lapita Hotel Dubai, a 710-square-metre elegant indoor ballroom venue, can be split into four sections and offers room for as many as 1,000 attendees. Lapita Hotel Dubai provides 2,200-square metres of indoor event space in total, ideal for hosting board meetings, product launches, corporate gatherings, and much more. However, what is most unique about Dubai Parks and Resorts’ MICE offerings is the ability to transform ride space into bespoke event space.